New York in the 1970s was dirty and dangerous. Hey, wait, so was rock 'n' roll. That spells a potentially beautiful friendship for television, just as it did in real life, and HBO plunges into that deranged era full-tilt on Feb. 14 when it breaks out a loud new show called Vinyl. It's arriving with impressive lineage. The creators and executive producers are Mick Jagger and Martin Scorsese, who will also be directing the first episode. "The genesis was an idea that I had years ago," Jagger told TV writers in Pasadena this week. "I took it to Marty and we first tried to develop it as a movie. We wrote scripts and scripts. "When TV started to become respectable, interesting and money-making, we decided to make a TV series out of it." Jagger also said that while it draws on his experiences in the music business, the specific stories aren't based on his own stories, or those of his musical quintet, the Rolling Stones. By 1973, when Vinyl begins, the Stones were already rock 'n' roll royalty, a deceptively disciplined machine with a long string of hit records and a marketing strategy that carefully parceled out tours every three years. Vinyl, conversely, focuses on music that was off the music business radar: punk, hip-hop, glam-rock and other sounds that are institutionalized today, but in 1973 hung out in underground clubs, outdoor parks and subway stations. 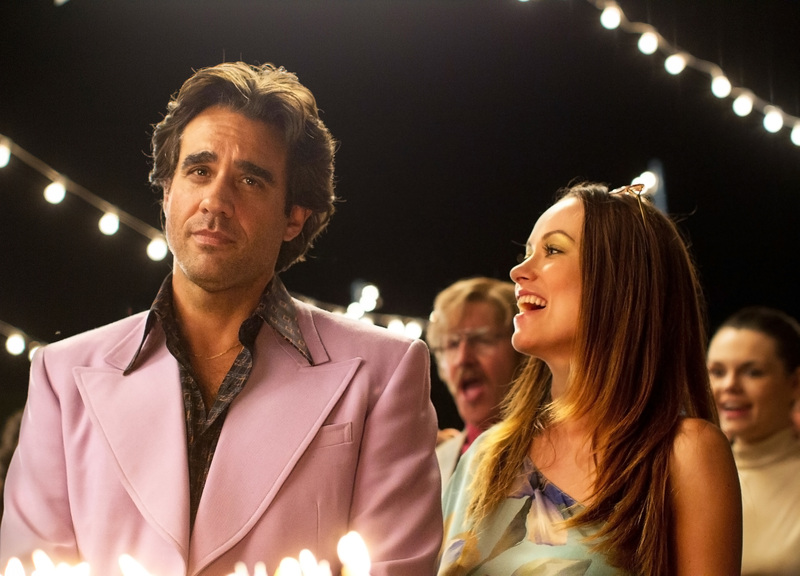 It focuses on a middle-aged record label owner named Richie Finestra (Bobby Cannavale), who is trying to sell the label because he realizes it's failing. He also knows why. It has lost the passion. Once upon a time, the music made him feel alive. Now even the good music has become an exercise in corporate marketing. On a late-night cocaine run he stumbles across one of those underground clubs. He suddenly he feels that exhilaration again, or at least he senses it in the kids around him. Reinventing his label to capture that new passion isn't quite as easy as sending a memo. He has to deal with his own quirky staff, artists, managers and recalcitrant radio stations, all filled with characters whose excesses may seem outlandish on television, but were in many cases the real-life norm of that Wild West era. 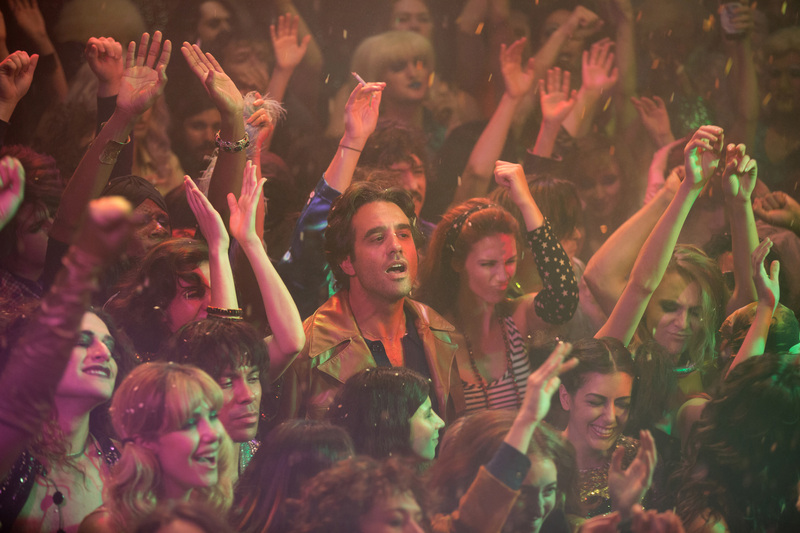 "I don't think Richie is any better or worse than most real-life record executives from back then," said executive producer and writer Terence Winter. His story is interesting enough. But what may best sell Vinyl is the music, which is designed to be prominent and authentic. Think Fox's Empire. "That's one of the most interesting parts to me," said Jagger. "The mix of real and fictional music, just like there's a mix of real and fictional characters." Scorsese, whose movies have always been noted for their bold use of music, said working with Jagger fulfilled a subliminal lifelong dream. "Since I first heard the music by Mick and his group, it's been the inspiration for a lot of the visualization I have in my films, back to Mean Streets. "He's also a great inspiration to me for learning the roots of the music, like the blues. So it's a natural for us to work together." Jagger, for his part, called Scorsese "a great connoisseur of music - the first director to use music wall-to-wall in a movie." Vinyl includes musical interludes that are almost dream-like, as when a singer who conjures the late 1950s R&B star Ruth Brown sings Brown's signature "Mama, He Treats Your Daughter Mean." Scorsese said those insertions, and the use of music from another era, were no accident. "We're hearing the soundtrack that's always playing in Richie's head," he said. "You see a Ruth Brown or Bo Diddley and you're immersed in that spirit." Those moments also help establish Finestra, whatever his excesses and flaws, as someone who's in the music business for at least one of the right reasons. Unlike corporate execs for whom the music is a product, like cans of cut green beans, he loves it. "He's a character who has always had the blues in his heart, and it's still there," said Jagger. "We have a lot of blues in the program." Jagger's own day job, as lead singer of the Stones, is about to take him to South America for a new tour, and at 72 he insists the joy of music "is still the same now" as it was when he was a teenager. If the series never forgets history, though, it quickly immerses itself in the New York where it's set, and the actors said that time-trip was an adventure in itself. 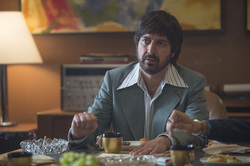 "I was a teenager in New York in that era, so this music all connected to a very important time in my life," said Ray Romano, who plays Richie's right-hand man. "And the details are amazing. HBO really does it right. Even the trash is from the '70s."